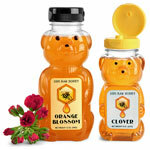 These PET honey bears are durable yet easily squeezable, making them suitable for honey, syrup, or similar products. 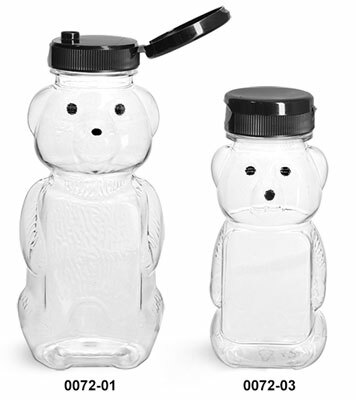 The wide neck on these plastic bottles allows for easy filling and they come with a ribbed black snap-top cap for easy dispensing. 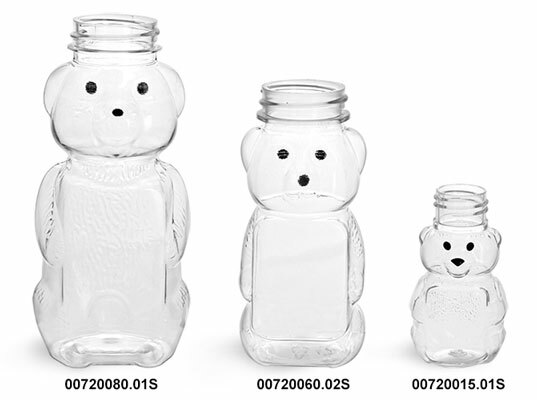 The caps feature a pressure sensitive liner that adheres to the opening of the container when the cap is first applied.